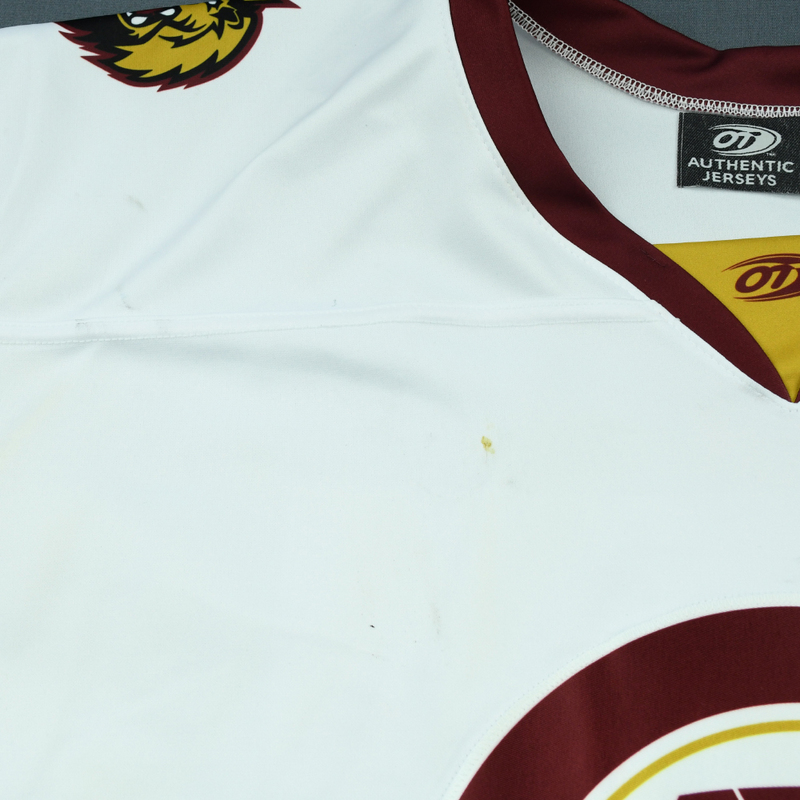 Welcome to the ECHL-MARVEL Super Hero Night Game-Worn Jersey and Socks Auction, hosted by The MeiGray Group. 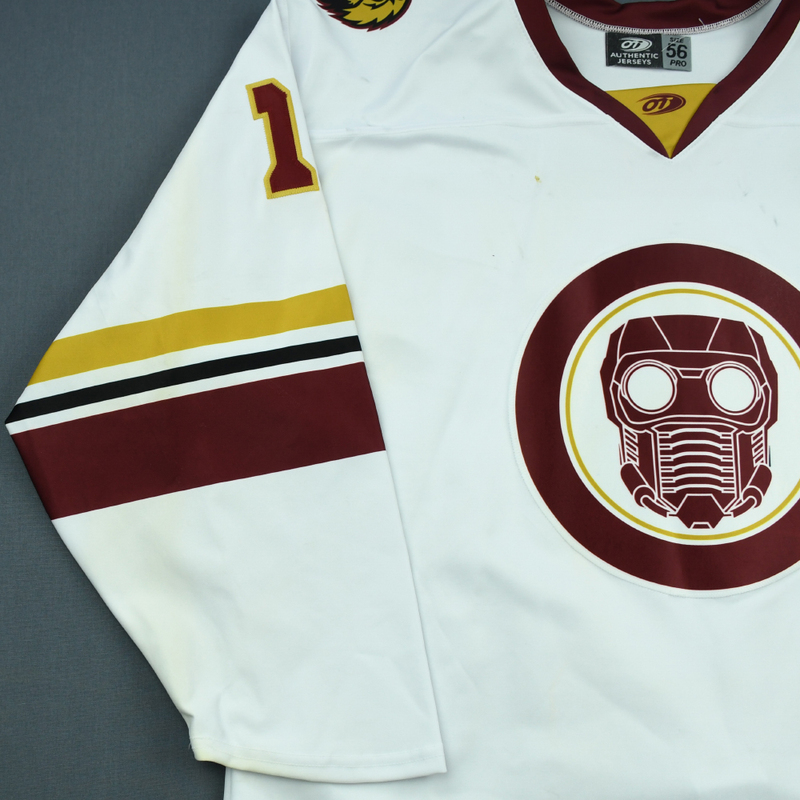 For the second straight season, the ECHL, in association with MARVEL and The MeiGray Group, are hosting MARVEL Super Hero Nights throughout the 2018-19 ECHL season. 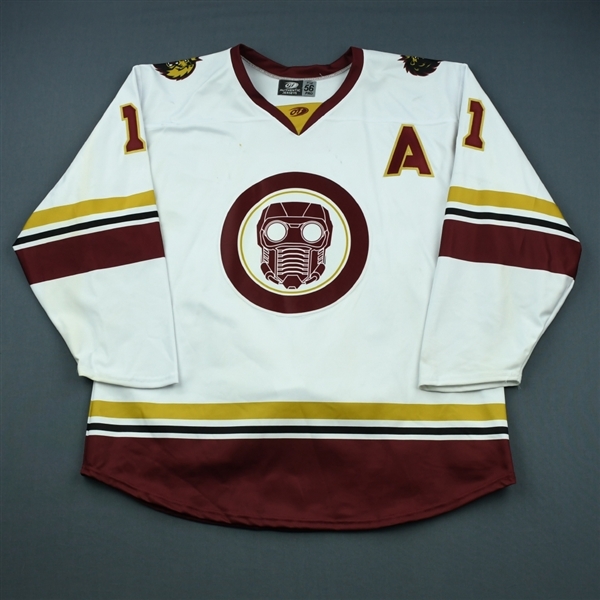 Over the course of the season, each ECHL Team will adorn a special Marvel Super Hero theme jersey featuring Captain America, Ironman, Thor, Black Panther, Ant-Man, Star-Lord, Groot, or Rocket Raccoon, with the ECHL Team’s own logo intertwined. Several ECHL Marvel Super Hero Nights will feature these characters against each other with both teams wearing a specialty themed jersey. 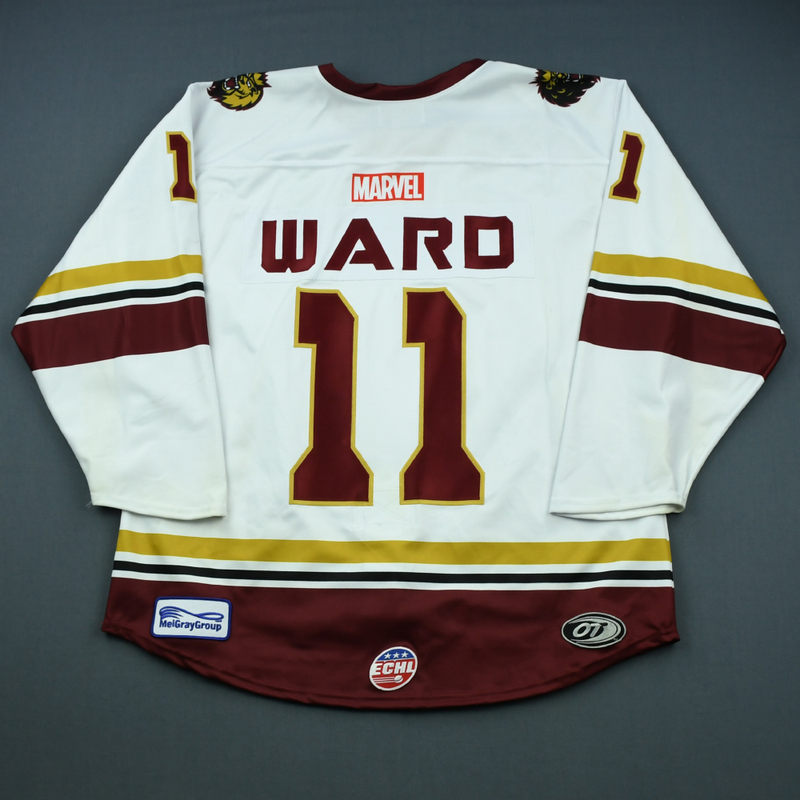 Here is your chance to bid on an Star-Lord jersey and pair of socks worn by #11 Cory Ward of the Manchester Monarchs, throughout the Manchester Monarchs in their 2-1 overtime victory over the Adirondack Thunder on December 15, 2018 at Cool Insuring Arena in Glens Falls, NY. These socks were worn during the game but not specifically by the player. 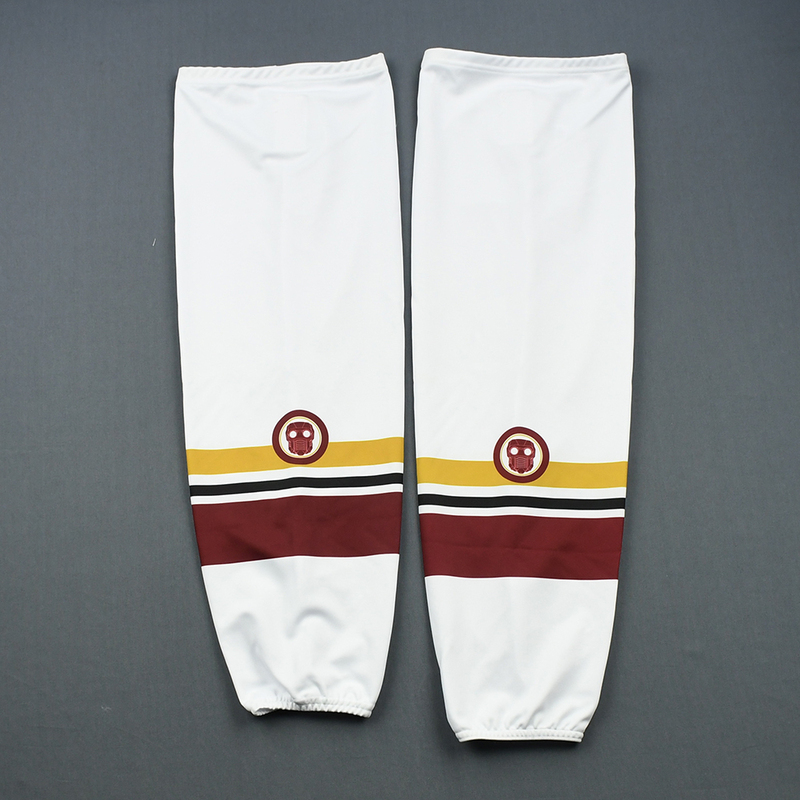 This white jersey is a Size 56 and is registered into The MeiGray Authentication Program.